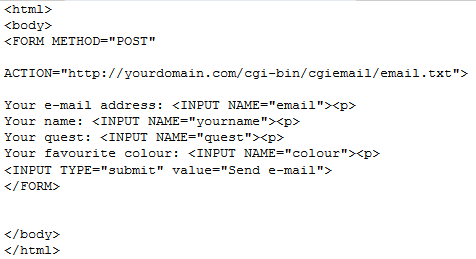 The CGI wrapper will allow you to run CGI scripts with your user ID. 'cpanelusername' and 'maindomain.com' should be replaced with the actual cPanel username and primary domain associated with your hosting package. 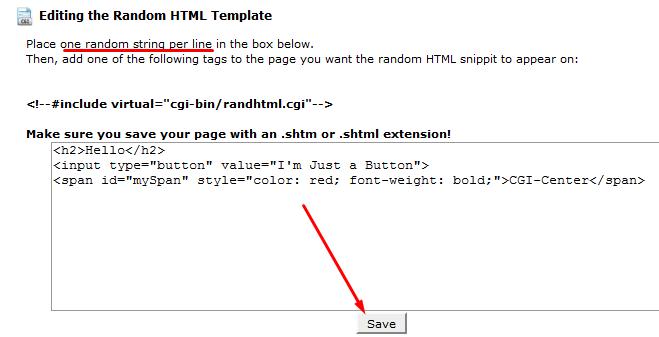 Once copied and saved, open the page in the browser to see the script working. 1. Click on CGI Email. You will be redirected to the user guide and in the meantime cPanel will automatically create two important files in cgi-bin folder - cgiecho and cgiemail. From: should be local email address – the one created in cPanel (with your domain using our hosting mail service), otherwise, the server will reject the email in order to prevent spamming activitiy. To: can be any address you want to receive these emails to and reply from. Values in brackets will be pulled from the form visitor submits. 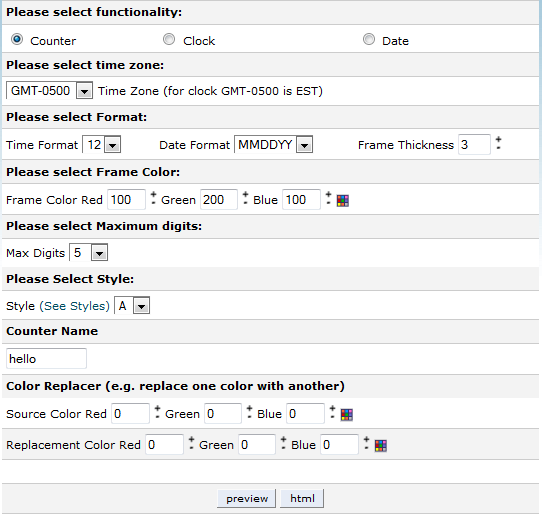 Here you can change questions and Input values (do not forget to change them in your email.txt as well). the email will not be sent, but you will see if the submission is successful – so-called debug (test) mode.